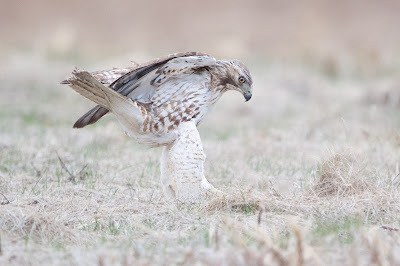 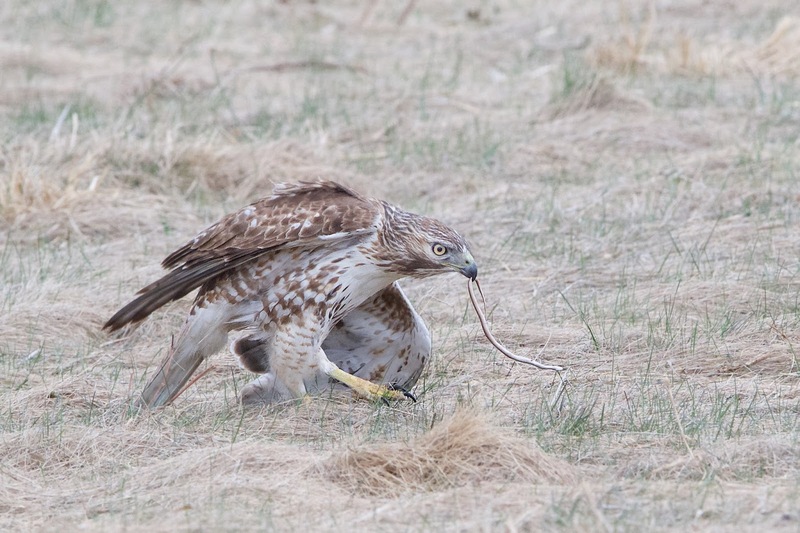 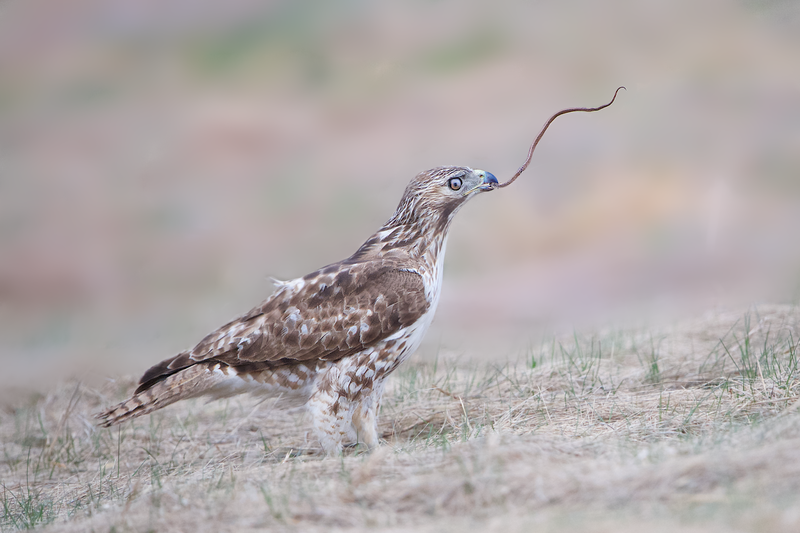 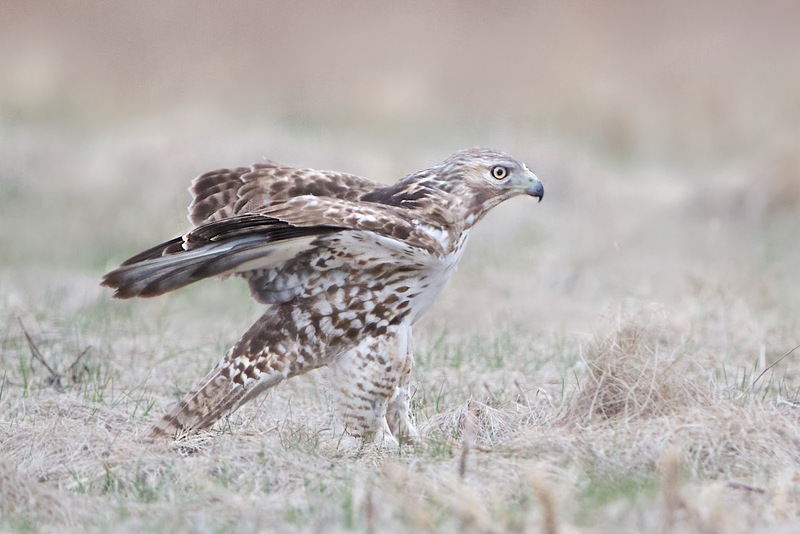 The young red tailed hawk searched for breakfast in the mown fields of Valley Forge this morning. 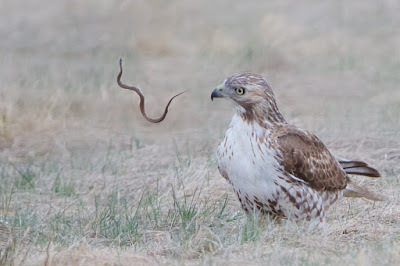 He finally found a little garter snake and threw it up in the air time after time trying not to get bitten. Finally he grabbed it one more time and gobbled it down the hatch.